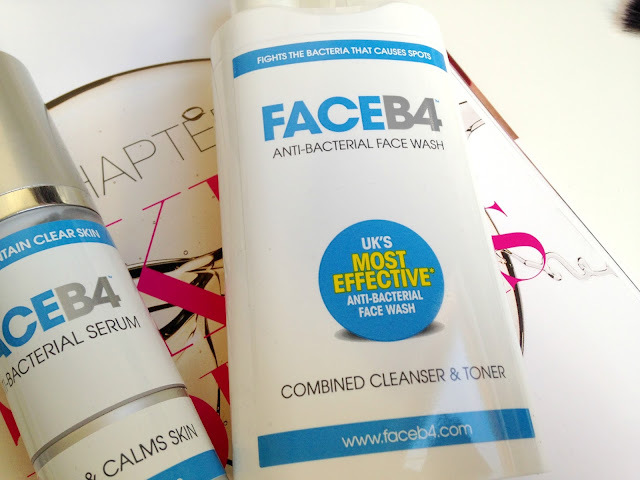 Face B4 are a relatively new brand to me. I did get to try the serum as I got it in a goodie bag when I did work experience at Superdrug's Magazine, Dare. The two-step system is aimed at blemished skin with the claim of helping clean pores, reduce oil and spots. As I have spot-prone skin I couldn't wait to try it! The Face B4 Anti-Bacterial Face Wash* contains two cylinders, one with cleanser and the other with toner. The two cylinders come out as one in a handy pump. The smell and feel of this face wash really put me off. The face wash is a foam so it really dried out my skin and the sensation of using it over my face I really didn't like. On the other hand, I really liked the Face B4 Anti-Bacterial Serum*. It did calm and soothe the skin and its vitamin enriched formula helped moisturise too. It didn't clear all of my spots (it isn't a wonder product by any means) but it did help soothe and calm the spots I did have. It sinks in quickly and is really nice to apply. If you have spot-prone oily skin then I would try the range as it could work for you, as everyone's skin is different. 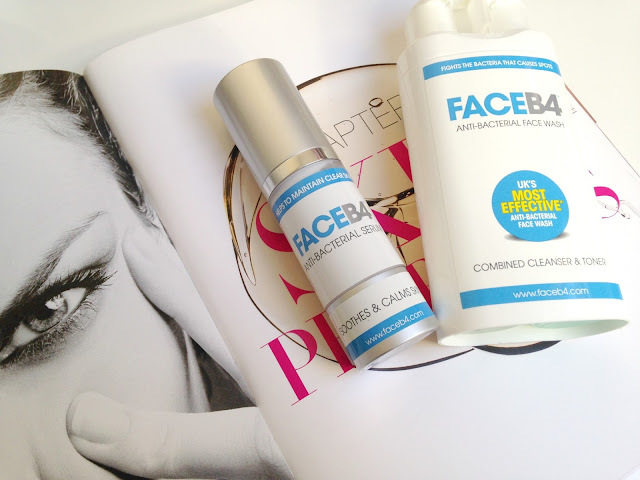 Have you tried anything from the FaceB4 range?